Access physical activity grades, report cards and other related documents from all Global Matrix events in which Nigeria has participated. Support for dedicated researches to study indicator areas with paucity of research data in order to facilitate grading for those indicators. Creation of multi-sectoral Implementation Group/Committee to facilitate the implementation of recommendations emanating from the Nigerian report cards. Funding support for mobilization of more data assistants to help with location of several hidden unpublished data in higher institutions of learning and research across the country. Children and youth dominate the Nigerian population hence there is a need to keep the population healthy. With the global surge in noncommunicable diseases, it is especially important to promote an active lifestyle among the population. An appraisal of physical activity through the Report Card will engender a healthy youth population. 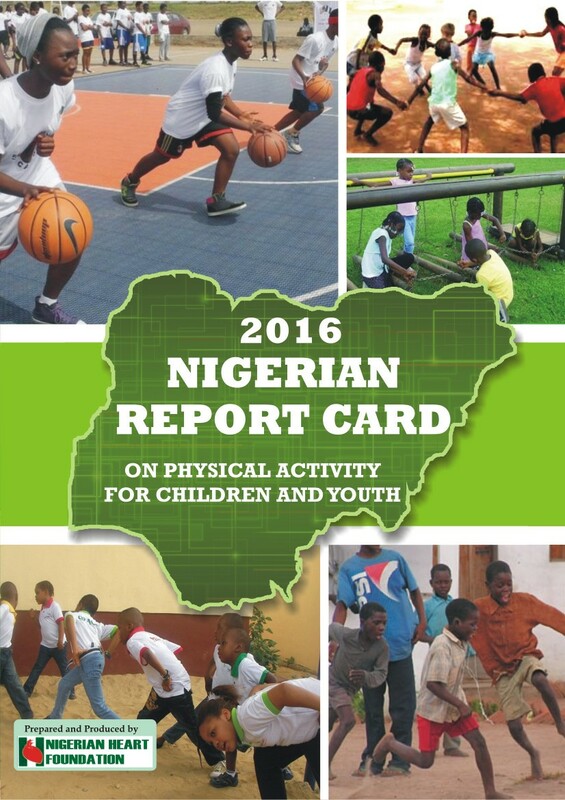 The 2018 Nigerian Report Card on Physical Activity for Children and Youth is a build-up on the 2014 and 2016 editions of the Report Card. Core indicators including the Overall Physical Activity, Organized Sport and Physical Activity, Active Play, Active Transportation, Sedentary Behaviours, Family and Peers, School, Community and Environment, and Government were graded. The grades ranged from A to D, then F and INC (incomplete) with A representing a huge success in the indicator. Indicators were graded as seen in Table 1. Physical fitness, family and peers and community and environment could not be graded on account of paucity of data. It was observed that 30-52% of children in the target age bracket are physically active, while 39.7% of that population in urban and 43.7% in rural areas participate in organized sports. There is a demonstrated progress through the key stages of public policy making with respect to school Physical Education programmes, approval of Sport Academies, empowerment of non-governmental organizations in grassroot sports, establishment of government owned public parks and construction of model schools that have facilities for physical activity programmes. Albeit data paucity on important indicators for the Report Card, available data shows Nigeria is making slow but positive progress in physical activity of children and youth. Previous indicators did not nosedive, while some witnessed slight upgrades. Availability of data on those with incomplete grading will enhance further Report Cards. 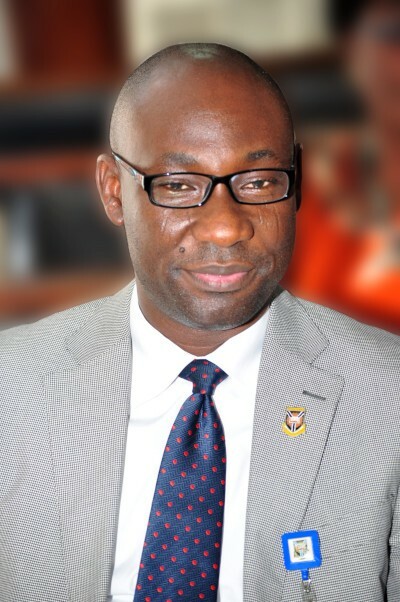 Kingsley K. Akinroye, M.D.Dr. Akinroye is a Cardiovascular Health Physician and Executive Director, Nigerian Heart Foundation; Past Vice – President World Heart Federation and Past President, African Epidemiological Association. He was a Temporary Advisor, World Health Organization on Non – Communicable Disease; and was a member of the World Health Organization Informal Consultation Group on Non-Communicable Disease Experts. 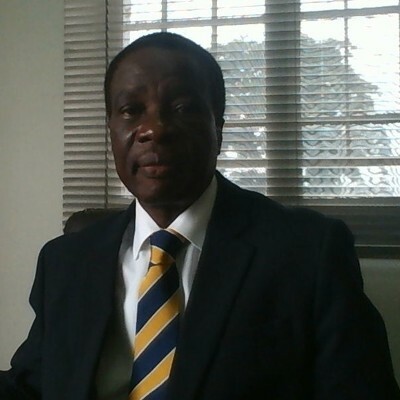 He served as Principal Investigator (Nigeria) on the project “Assessment of Physical Activity and Active Transport among School Children in Eastern, Western and Southern Regions of Africa: The Case of Kenya, Nigeria and Mozambique”. He was a member of the Technical Report Committee of the “2013 Nigerian Report Card on Physical Activity for Children and Youths”. He has served as Principal Investigators on several National/International Projects on Hypertension, Tobacco, Alcohol and Non-Communicable Diseases.Dr. Akinroye is a Cardiovascular Health Physician and Executive Director, Nigerian Heart Foundation; Past Vice – President World Heart Federation and Past President, African Epidemiological Association. He was a Temporary Advisor, World Health Organization on Non – Communicable Disease; and was a member of the World Health Organization Informal Consultation Group on Non-Communicable Disease Experts. He served as Principal Investigator (Nigeria) on the project “Assessment of Physical Activity and Active Transport among School Children in Eastern, Western and Southern Regions of Africa: The Case of Kenya, Nigeria and Mozambique”. He was a member of the Technical Report Committee of the “2013 Nigerian Report Card on Physical Activity for Children and Youths”. He has served as Principal Investigators on several National/International Projects on Hypertension, Tobacco, Alcohol and Non-Communicable Diseases. "Since the launch of the first Nigerian Report card, Nigerian Heart Foundation through its partnership with the prominent Media in Nigeria, has been able to bring to the fore-front the significance of physical inactivity as a risk factor for Non-communicable disease in Nigerians. This is observed in the increase in the number of coverage on Physical inactivity and Sedentary behavior in prominent Print Media in Nigeria." - Kingsley K. Akinroye, M.D. 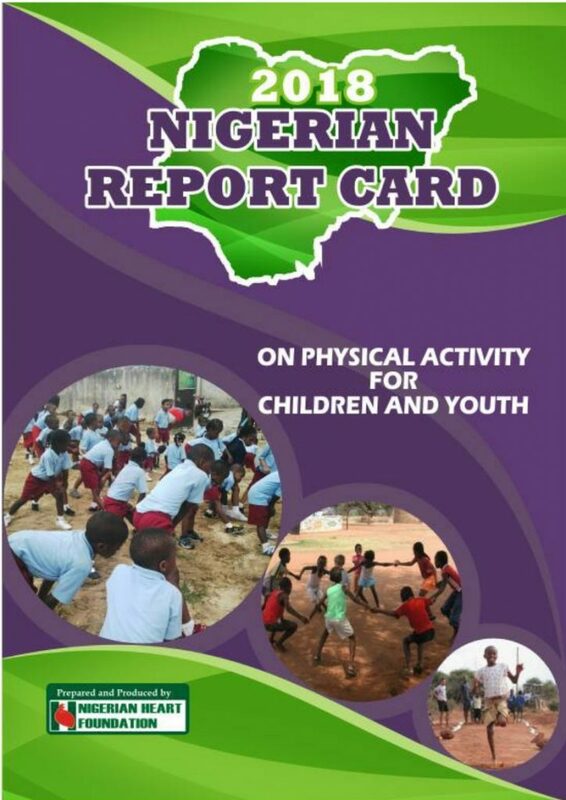 Background: The Nigerian Report card on Physical activity (PA) in children and youth was first developed in 2013 to inform practice and policy on healthy living and prevention of non-communicable diseases among Nigerian children and youth. This article summarizes the results of the 2016 report card and provides evidence on the current situation in Nigeria. Methods: A comprehensive review of literature was undertaken by the Report card Working Group. Grades were assigned to 10 PA indicators based on the criteria used for the 2013 edition. Results: Grades assigned to the indicators were: Overall PA, D; Active Play and Leisure, C; Active Transportation, B; Sedentary Behaviours, F; Overweight and Obesity, B; PA in Schools, C-; Government/Non-Governmental Organisations/Private Sector/Policy, B. The following indicators were graded as INCOMPLETE: Organized Sport and PA, Community and Built Environment and Family and Peers. Conclusions: The overall PA levels of Nigerian children and youth seemed to be declining compared to the 2013 Report card but with slight improvement in active play and leisure and PA in school settings. A substantial number of Nigerian children and youth still have high sedentary behaviours, overweight and obesity. Efforts are needed to promote PA in children and youth in Nigeria.